On 7 June 1944 The 4th Inf Div's 4th Medical Battalion put the wounded men listed below on a LCVP. These 19 men left Utah Beach towards ships that would take them to Hospitals in England. This LCVP hit a mine in the Bay of Seine. Some were found days and weeks later and buried at sea. Others were never found and two men were found all the way across the Bay and buried by the Germans. Each IDPF is here as well, just click on the ASN. Here is a link with a map and timeline. Hickson, Robert W. Private 11047676 101st Abn Div 502nd Prcht Inf Co B St. Andre 6/10/1944 LCVP hit a mine while being transported back to the UK. Hester, Robert G. Private 14068577 101st Abn Div 502nd Prcht Inf Co B St. Andre 6/10/1944 LCVP hit a mine while being transported back to the UK. Bucior, Bernard G. First Lieutenant 0-1294972 101st Abn Div 502nd Prcht Inf Co C FOD 6/6/1944 LCVP hit a mine while being transported back to the UK., treated on Utah Beach by 4th ID Medical. Lesko, John P. Private First Class 13048930 101st Abn Div 502nd Prcht Inf Co C FOD 6/6/1944 LCVP hit a mine while being transported back to the UK. Evers, Lloyd M. Second Lieutenant 0-1293739 101st Abn Div 502nd Prcht Inf Hq & Hq Co Brookwood 6/7/1944 LCVP hit a mine while being transported back to the UK. Jesper, Robert E. Private 32804484 101st Abn Div 502nd Prcht Inf Hq & Hq Co FOD 6/6/1944 LCVP hit a mine while being transported back to the UK., treated seen on Utah Beach at Batallion Aid Station, shot in chest. Smith, R.V. Private 20402383 101st Abn Div 502nd Prcht Inf Hq Co 3rd Bn FOD 6/7/1944 LCVP hit a mine while being transported back to the UK., ankle injury, treated on Utah Beach by 4th ID Medical. Harper, James T. Private First Class 35671355 4th Inf Div 22nd Inf Co L FOD 6/6/1944 LCVP hit a mine while being transported back to the UK. Antoszewski, Richard I. Private First Class 36715624 4th Inf Div 8th Inf Co A FOD 6/7/1944 LCVP hit a mine while being transported back to the UK. Carriker, Edward T. Staff Sergeant 6972535 4th Inf Div 8th Inf Co H FOD 7/15/1944 LCVP hit a mine while being transported back to the UK. Ashenfelter, Edgar J. Private 35614631 82nd Abn Div 325th Gli Inf Co G FOD 6/7/1944 LCVP hit a mine while being transported back to the UK. O'Rourke, James W. Technician 5th Grade 32370027 82nd Abn Div 507th Prcht Inf Med Det FOD 6/7/1944 LCVP hit a mine while being transported back to the UK., ankle injury, treated on Utah Beach by 4th ID Medical. Wheeler, Jack R. Private First Class 34475431 82nd Abn Div 508th Prcht Inf Co G FOD 7/7/1944 LCVP hit a mine while being transported back to the UK. Langston, William L. Private First Class 18086596 90th Inf Div 359th Inf Co A FOD 6/6/1944 LCVP hit a mine while being transported back to the UK. Sanders, Raymond C. Private First Class 37107418 90th Inf Div 359th Inf Co B FOD 6/7/1944 LCVP hit a mine while being transported back to the UK. Hoke, James T. Private First Class 38094200 90th Inf Div 359th Inf Co M FOD 6/6/1944 LCVP hit a mine while being transported back to the UK. The above information was compiled by Brian N. Siddall of EQS Press over 6 years of research. These are from Morning Reports, Payroll Records and Weekly Burial Reports. These are from Military Records, not first hand accounts or from any other reports. The above information can’t be used without express written consent from Brian N. Siddall and EQS Press in this format without attribution. The above information can’t be used without express written consent from Brian N. Siddall and EQS Press in this format without attribution. 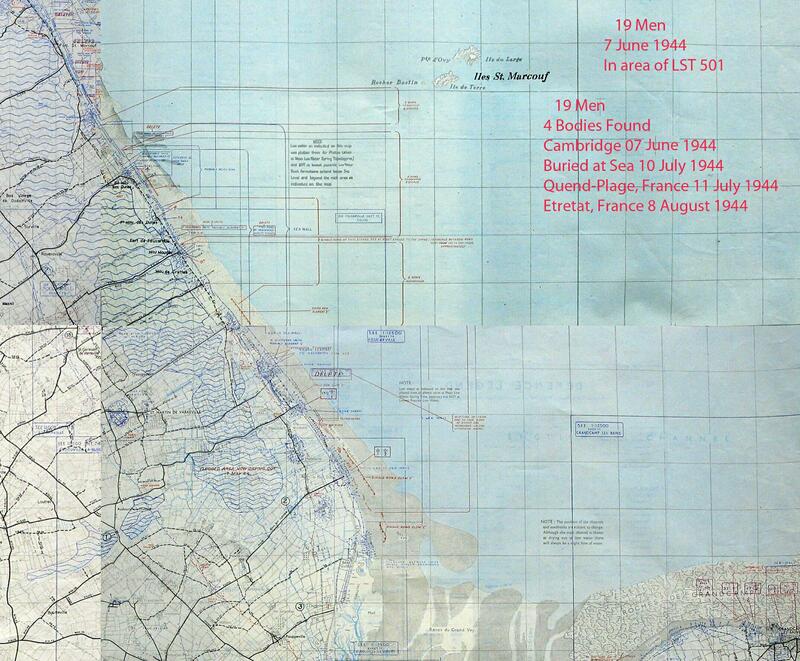 This information can be linked to www.airborneinnormandy.com but not published either in paper form or online.